He is accused of planting 42 kg of explosives in a cache. 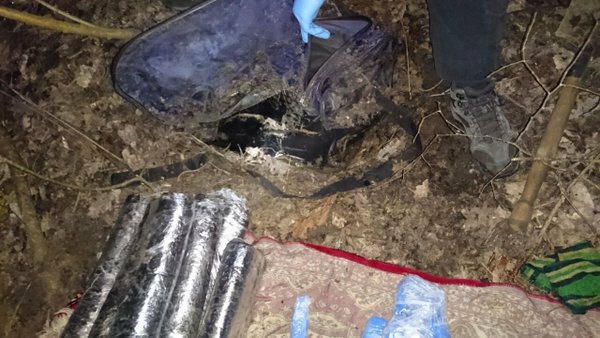 The Security Service of Ukraine (SBU) has said that the chief of the Azov-Crimea civil corps, Stanyslav Krasnov, was detained after he had planted 42 kg of explosives in a cache, SBU apparatus head Oleksandr Tkachuk said at a briefing on 29 February. "Mr Kasnov and [Oksana] Shelest were detained at a filling station between 0100 and 0200 a.m. on 28 February right after they had made a cache near the village of Shchaslyve on the Kiev-Kharkiv motorway. Krasnov attempted to flee, put up resistance to law enforcers, therefore they had to use force during his detention. Right after the detention, Krasnov was escorted by investigators and operatives back to the cache where the area was inspected. A plastic explosive equivalent of 42 kg of TNT was found and seized from the cache. Five bodies of hand grenades, six percussion igniters to mine exploders and 10 detonators were also confiscated," he said. The following video was recorded on the dashboard camera of Krasnov's car. Krasnov was detained on suspicion of illegal storage of arms. According to the SBU, Krasnov also leaked the list of fighters of the National Guard's Azov regiment to Russia. "From 10 to 13 February, he visited the Republic of Belarus last time to meet his Russian supervisor. Krasnov has been in contact with the Russian side since 2014. 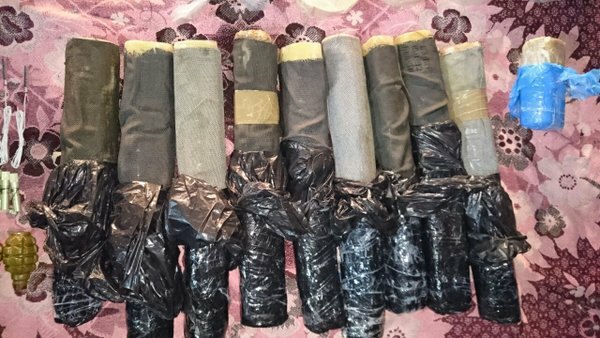 During the last meeting they discussed a possible use of these explosives which were confiscated in the Kiev suburbs," Tkachuk said. Krasnov was allegedly supposed to kill one of the activists on the administrative border between Crimea and Kherson region, which could be used as a ground for Russia's incursion into mainland Ukraine. Azov's command was unaware that Krasnov was recruited by Russia. Tkachuk also recalled that an arsenal of weapons was found in Krasnov's house on 21 May 2015, the case still being considered by court. Early on 29 February, Krasnov's lawyer Andriy Mamalyha accused police of torturing his client for six hours after the detention. "He is covered in bruises, both legs, the entire head... I was shocked by what I heard. Unidentified persons without insignia but armed with automatic rifles first detained him, tied his legs and arms and covered his eyes with tapes. He was dragged to a forest where he was tortured for six hours while they demanded that he admit to hiding the arms nearby. These people then took him to the SBU office in Volodymyrska Street. His girl Oksana Shelest was with him," he said. 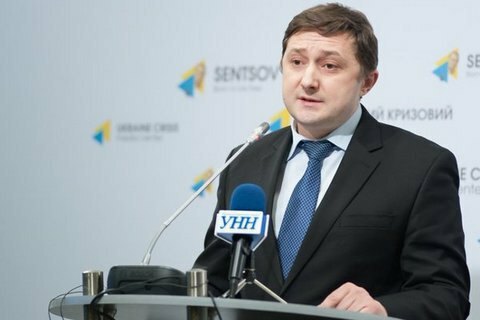 MP Ihor Mosiychuk on Facebook published what he described as Krasnov's statement, in which he said that the detention was a result of "reprisals against volunteers and Maydan activists" ordered by Russia.